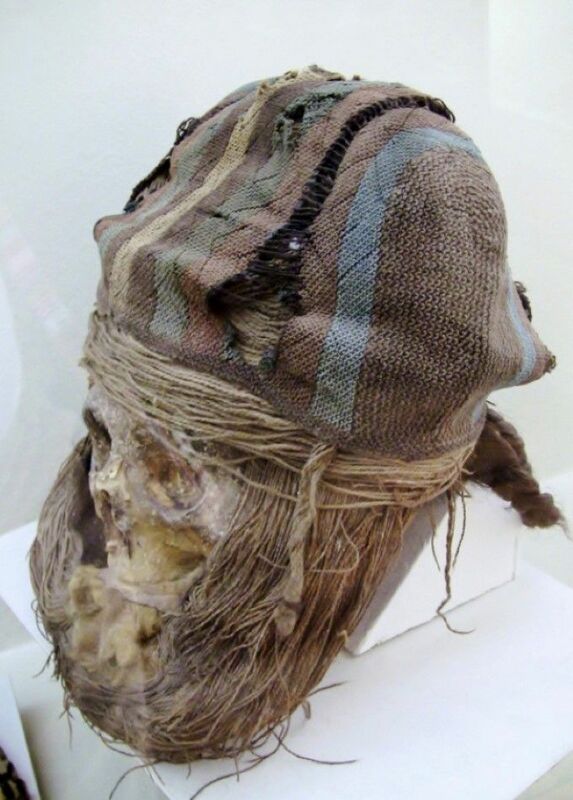 The Chinchorro culture existed on the coast of present day northern Chile and southern Peru as much as 9000 years ago, and interestingly they purposefully mummified their dead. 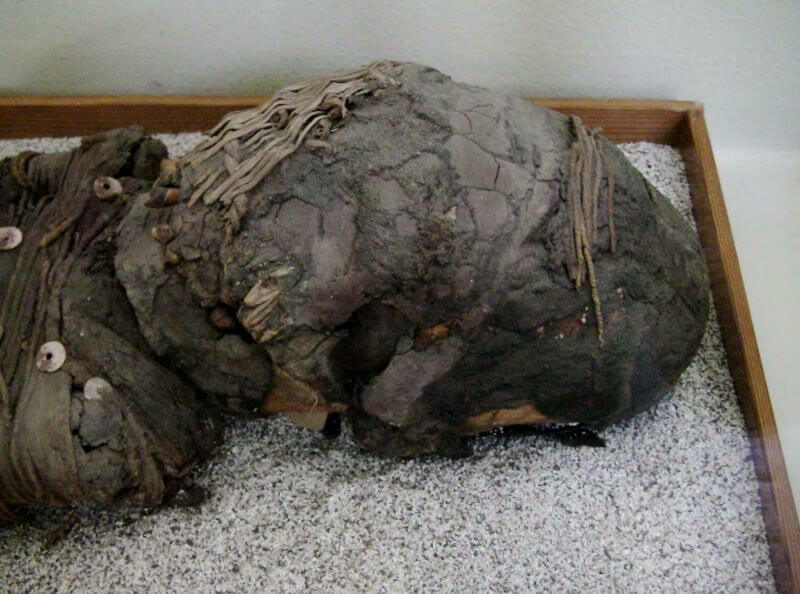 The mummification first arose about 7000 years ago, making them 4000 years older than the same practice carried out in Egypt. The brain and other organs were removed on purpose, and replaced with vegetable matter. There is also evidence that the mummies were not immediately buried after death, but were carried on litters and proudly displayed for extended periods of time; a practice that the famous Inca also did. They also practiced mummification in all classes of their society, and often the elderly, children and even fetuses were given the most elaborate levels of preparation. Most other cultures that did this practice reserved it solely for the elite. What intrigued me even more than the fact that these ancient people performed mummification was that many of their skulls appeared to be elongated, as shown in these photos from the Iquique museum, located on the coast of Chile. I have been studying the subject of cranial deformation, especially in Peru for many years. Cranial deformation was a technique practiced all over the world, and most prevalent about 2000 years ago, mainly in the royal levels of society. In Peru, the Paracas culture are perhaps the most famous, as well as the ancient people of Tiwanaku and the Inca. Some early results show that many of the elongated skulls from Paracas had natural red hair. Nikola Tesla–The Man Who Electrified The World! !